First siren of the fire engine made me run out to find where the fire was. 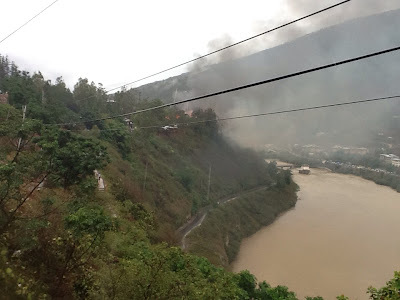 Thick curl of smoke from Wangdue Dzong stunned me. I quickly made a tweet and ran to my car. I made myself believe that the fire is not in the Dzong. By the time I reached the Dzong, half of it was already consumed. There were thousands of helpless people around, many crying and praying. As I watched our history burn, I constantly lost my senses; I was often thinking of it as a dream, and then I return to my sense. I could feel the heat from the fire and million voices. I felt sorry, felt helpless and felt useless. There were people running with buckets and running without anything, everybody wanted to save their history but even the fire engines' best efforts couldn't help. The fire began from the northern tower and by the time people are mobilized the entrance to the dzong was blocked by debris and flame. Just when we thought our firefighter could penetrate the entrance then the fire spread to the central tower. Fire rushing toward the Utse. No way to reach there. There were hundreds of people around the Dzong and in their emotional effort to make difference they exposed themselves to falling stones, and debris. From where I was watching i could see a group of people right under the roof which was about to fall, but they weren't aware because from where hey were they couldn't see the fire, I whistled and shout at them to move out. They couldn't hear me. So I made the whole group of people around me to shout and signal with hand together to move them out. It worked. Some moments later the whole roof collapsed. They made it out on time. Until this moment we were very hopeful that a divine intervention would save the Utse of the Dzong, and for quite some time the wind was pushing away the fire into opposite direction. I even spotted some monks and people on the rooftop near the Utse, seemingly not trapped but trying to evacuate important nangtengs from the passage that runs through the toilet. Divine intervention was the only hope since there was no way anybody can carry a bucket of water through the burning entrance. Even god seemed helpless, Utse of the Dzong soon blazed and we all shouted, we cried and cursed god and we lost hope. Thats when I made the most heartbreaking tweet: We lost Wangdue Dzong. Even God couldn't help! It indeed is a very sad day for the country . I visited Wangdue in May this year . Still cudnt believe it has been razed by the fire. Such a major loss for the country which has such rich cultural heritage. I can't help thinking of an amateur cameraman who captured the footage (it is the only footage) of the first plane hitting WTO. Your iWitnessed coverage/account is incredible. Congratulation, Passu. 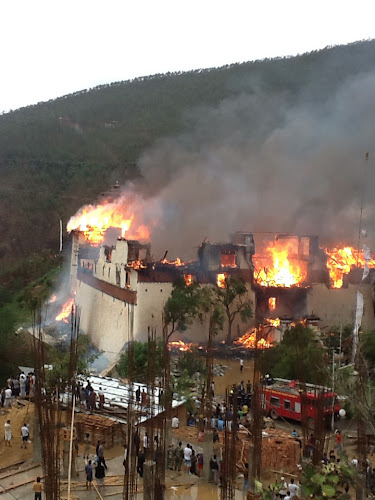 I am awestruck to hear the news about fire on one of the nationally treasured Dzong. At first, I was shocked not believing the pictures. After seeing several photo uploads in the facebook and news on BBS, I was numb for a while and couldn't even imagine the fact that I just saw on BBS TV. God Bless people's prayer and find out the culprit or if not at least be in a position to find a proper and accurate evidence of destruction of the Dzong. 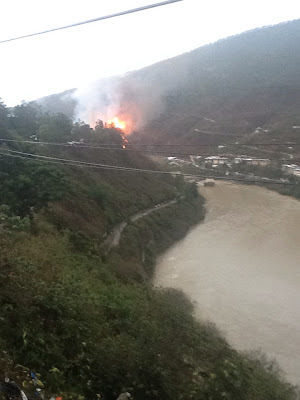 The very old 4 century historic dzong itself has become history of being razed into fire.That is indeed a very tragic news as for we bhutanese, it was like our mother being burned into ashes alive and we children are watching helplessly. Partially relieved as our sacred relics and monuments are saved. And happy to know that our people are ready to fight for protecting the national treasure as for this time, people were helpless due to uneven site of dzong that had been build and all the nature's elements being against the support of protecting dzong. I am very impressed by your coverage of the tragedy. I guess this makes you a good journalist too apart from being a great blogger...keep up the great work. i was really looking for good coverage until i found your blog...thanks. Perhaps, this might be the right time to rejuvenate our...God knows what? This is nature's intervention, asking us to do renovation. It is positive!!! I do not understand. I hate technology sometimes.people want to see a tragedy happening Live on TV. a month ago there was a case of a gay man hacking his ex-partner to death and filming it.posted it on youtube. next day there were several people filming themselves watching it and showing their expressions..laughter being one of them. people who lost their dear ones to murders condemned this act saying people can go to any length to gain attention or popularity. People "Like"ing a bad news on Facebook. 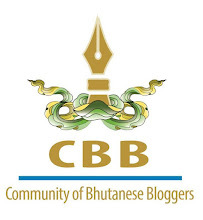 Blaming BBS for not filming the wangdue dzong reduce to ashes. and you making the "most heartbreaking tweet". and taking picture from great vantage point. and headlining it "iWitnessed"
Paople stood still in complete despair. They held their hands together, seeking some sort of blessing (to put the fire off, a fire which seems not to hesitate to burn the whole dzong to ashes). Is what we confront a kind of destiny (lungtey)or a misfortune? Most paople are of the view that because of what we have become today; the gods have now slowly puting halt to the way of reciprocity. Is it true? I have visited this magnificent Dzong and am very sorry that it burned down. I am grateful to have been able to visit while it stood. This is too much. If only they could have prevented this. I hope the government would do something about this. Some added info on eligibility of fire aftermaths can be read here though : Fire Eligibility - SystematicCleaning.com. Not sure if this helps out or not. Please share.